Join startup founders and blockchain enthusiasts alike for this meetup, May 21st at 6:00pm. The event will center around a webinar hosted by Michał Mikołajczyk, a Toptal developer, Community Leader, and CEO of the startup Viking Garage. 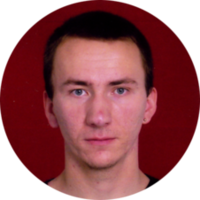 Michał will talk about the open-source project Blockchain-IoT and how he creates smart contracts to manage machines. This event is open to all current and prospective Toptalers, and to anyone interested in gaining new knowledge in a very exciting field.